Frustrated Lawmakers urged President Obama to launch stronger U.S. action against extremists in Iraq and Syria, with both Democrats and Republicans calling for a more aggressive strategy against the group known as Islamic State. Game-Changer: Lois Lerner’s IRS Emails Exist; But Will Obama Admin Look for Them? ≈ Comments Off on Game-Changer: Lois Lerner’s IRS Emails Exist; But Will Obama Admin Look for Them? Not a “smidgen” of corruption, eh? The Obama Administration is purposefully burying their heads in the sand with regards to Lois Lerner’s emails. According to Justice Department attorneys, the “missing” emails from the computer of Lois Lerner actually exist and are backed up and retrievable, but Justice Department officials are unwilling to retrieve them because doing so is an arduous task. President Obama reportedly plans to do an end-run around Congress to forge an international climate change deal, effectively bypassing the Constitution’s requirement to get the Senate’s approval for a treaty. The New York Times reported that the agreement is slated to be signed at a United Nations meeting next year in Paris. However, because the U.S. Senate is unlikely to ratify any international climate treaty, Obama’s negotiators reportedly are working toward an alternative agreement – a “politically binding” deal that would serve in lieu of a bona-fide treaty. On Monday evening, California Governor Jerry Brown said all Mexicans, including illegal immigrants, are welcome in California. Joseph Miller is the pen name for a ranking Department of Defense official with a background in U.S. special operations and combat experience in Iraq and Afghanistan. He has worked in strategic planning. On Wednesday, the White House leaked a classified special forces operation to rescue American hostages in Syria. The reason: political cover. The cost: so far, unknown. But this much, we know: The politicized leak of this operation cut through the fog of war to let our enemies know exactly what happened that day in the desert, and because of that, future attempts to free American hostages will be more difficult to plan, farther between, and more dangerous to carry out. Al notso-Sharpton, Ann Coulter, Darren Wilson, DUI, Ferguson, Kiko Garcia, Michael Stewart, Officer Peter Romero, Rich Lowery, Robert Garcia, Robert Garcia Sr.
APD Officer shoots Robert Garcia Sr.
You know, we hear a lot of guff from the American Left about how insular rural areas of Red States can be. But I gotta tell you: speaking as a transplanted Northeasterner, listen to some of those progressives in Vermont and it’s like you’re in a time warp back to 1830 and the Know-Nothing Party. This is from a recent town hall in Cabot, VT: basically, Sen. Bernie Sanders (Commie*, Vermont) had to stand at a podium and listen to a heck of a lot of angry Vermonter anti-Semites scream about Israel, to the point where he started screaming back about halfway through. Amazingly, from the aforementioned anti-Semites’ right. Heck of a thing when that guy’s the least vile person talking. As you might guess from that, I have no sympathy for Bernie Sanders, mind you – these are his people, after all; he wants their votes, terrifyingly – but I have even less sympathy for people who scream ‘F*ck Israel,’ and who claim that Hamas is a service organization. And when I say I have no sympathy for either Sanders or his critics, I mean it: it is highly irresponsible for the Senator to pretend that Israel is somehow magically required to ignore their own security needs when it comes to foreign affairs. And If the Palestinians want peace, then they should start by shooting the people using them as human shields. When ‘Anti-Government’ Violence Erupts, Who Is Really At Fault? ≈ Comments Off on When ‘Anti-Government’ Violence Erupts, Who Is Really At Fault? MCT – Protestors retreat from tear gas after marching toward the police command post on West Florissant Avenue on Sunday in Ferguson, Missouri. Editor’s Note: This column originally appeared in the August issue of Townhall Magazine. This year’s Supreme Court decisions didn’t turn out well for the Obama ad- ministration. And June in particular was a bad month for President Obama considering that in just one week, he was rebuked four times on issues ranging from organized labor to contraception mandates. But do these rulings really matter if the people working in our federal agencies are never held accountable for lawless behavior? Obama’s power over the federal government doesn’t end with his “pen and phone” agenda. Most of the real policy decisions are made by bureaucrats inside federal agencies. And Obama has purposefully created an atmosphere where career bureaucrats are both rewarded for helping his administration’s political goals and punished for thwarting them. 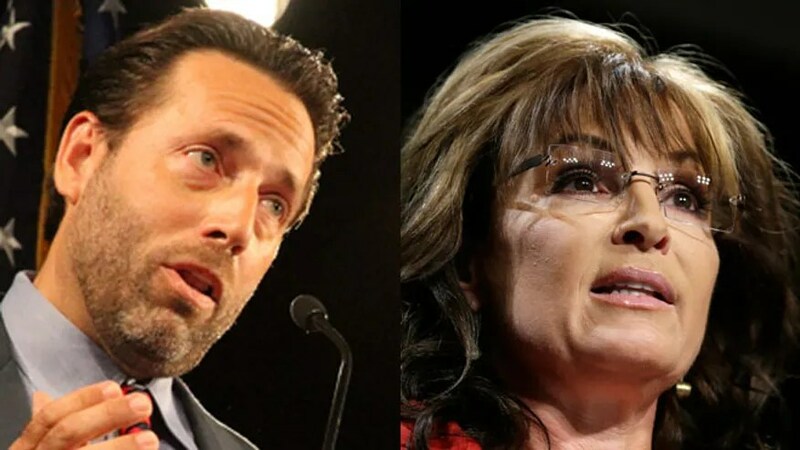 Sarah Palin is throwing her support behind Tea Party favorite Joe Miller in the looming Republican primary for the Alaska Senate race. The former Alaska governor and GOP vice presidential nominee announced her support Friday in a written statement, provided to Fox News.